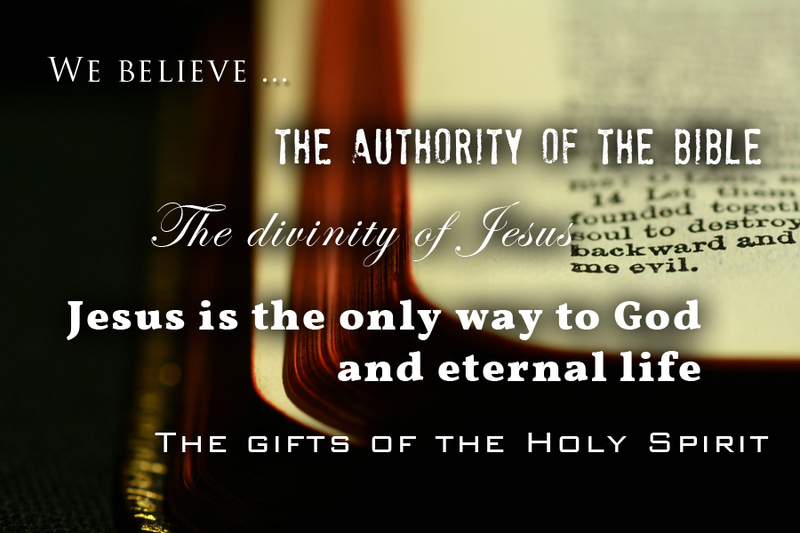 Jesus of Nazareth (who is the Head of the Church) established all true Christian doctrine. This was foretold by the prophets, made clear by the Father’s audible voice, and stated in unmistakable terms by the Lord Himself; and all the apostles labored to instill was singularly the presentation and propagation of Jesus’ teachings. Therefore, we at BibleDays Ministries understand that neither counsels, nor dogmas, nor experiences, nor philosophies, nor any expression of subsequent movements can correct or improve what Christ ratified, revealed, or explained. In addition, it must be pointed out that all essential commandments, doctrines, and authorized practices of the Christian faith are, in fact, recorded in clear, contextual, and repetitive language. God always gives at least two or three “witnesses” to established truth. Therefore, in declaring what we believe, BibleDays Ministries sees no better way than to confess the express statements of the Written Word. The Bible explicitly states that there is one God and that God is one. It equally states that God is a Spirit, that He is God and Father of all, and that the mystery of the Godhead is that He was manifest in the flesh—and that is what we believe. The Bible explicitly states that Jesus of Nazareth is the express image of God, Emmanuel (“God with Us”), in whom dwells all the fullness of the Godhead bodily; that Jesus is the Son of God, the eternal Word of God, and the Only Begotten of the Father; that the Father has given Jesus a name that is above every other name; and that that Jesus is the only way to God and to eternal life—and that is what we believe. The Bible explicitly states that Jesus of Nazareth was foretold by the prophets, announced by angels, born of a virgin birth, identified by a heavenly star, testified of by the audible voice of the Father, witnessed of by the Spirit descending like a dove, confirmed by an enormous number of miracles, raised from the dead by the power of God, and glorified as both Jehovah and Messiah by ascending into Heaven—and that is what we believe. The Bible explicitly states that God's Spirit comes to the world to comfort, to lead, to instruct, to convict (that is, “to prick” the conscience), and to give a witness of the truth of Jesus. It further states that the Holy Ghost comes in Jesus’ name to change the “stony” heart of mankind and to fill believers with supernatural gifts and the fruit of righteousness—and that is what we believe. The Bible explicitly states that God, for His own pleasure, created and completed in six days the heavens and the earth; that He is influencing and working among the inhabitants of the earth according to His will; and that all that He does in, for, and to the earth is just, good, true, and worthy—and that is what we believe. The Bible explicitly states that invisible powers known as evil spirits (demons) and ministering spirits (angels) exist, and that they are the creations of God, continually subject to divine authority, and will themselves be judged—and that is what we believe. The Bible explicitly states that all Scripture is given by inspiration of God, and is profitable for doctrine, for reproof, for correction, for instruction in righteousness; that the Word of God will never pass away; that Scripture is not for private interpretation; and that we are not to add to or take away from it. The Bible also states that Jesus commanded His doctrines to be taught and that ministers are to preach no other doctrine —and that is what we believe. The Bible explicitly states that although mankind was created in the image of God, designed with a conscience, and made to be upright, all have turned against God to seek his or her own sinful way; and, therefore, are in danger of the wrath of God (Hell)—and that is what we believe. The Bible explicitly states that Jesus of Nazareth shed His blood on Calvary’s cross for a once-and-for all sacrifice so that all of we (mankind) may be forgiven of our sins and enter a “new” covenant with God. Subsequently, the Bible states that whosoever believes in Jesus, calls on His name, and remains (endures) in the faith shall be saved; that, at the same, we must repent of (turn away from, stop doing) our wrongdoing; that we must be baptized in water into the Lord Jesus Christ (and thus become Christ’s disciples); and that all who believe may expect to be filled with the Holy Spirit—and that is what we believe. The Bible explicitly states that we are not to be afraid of social turbulence, natural catastrophes, or "great signs" in the "heavens" because these things must come to pass and they are not “the end”—and that is what we believe. The Bible explicitly states that Jesus will visibly return to the Earth “in the clouds,” will resurrect the dead, and will gather His believers from the "uttermost” parts of Heaven as well as of Earth; that on the day of Christ’s return, He will judge both the living and the dead according to their deeds; that all whose names are not found in the Lamb’s Book of Life will be sentenced eternally to the Lake of Fire while all who are recorded in the Book of Life will forever live and rule with Christ—and that is what we believe. The Bible explicitly states that marriage is ordained by God between one man and one woman—and that is what we believe. The Bible explicitly states that children are to obey and honor their parents, and to do so brings about special blessings from God—and that is what we believe. The Bible explicitly states that adultery, fornication, and the inward act of lust are serious transgressions (sins) against God. In addition, it specifically states that homosexuality dishonors of the human body, is the result of turning away from the truth, and is also a serious transgression against God—and that is what we believe. The Bible explicitly states that divorce is hated by God and is not to be practiced except in circumstances involving fornication. However, it is clearly stated that if unbelieving spouses depart, believers are not bound in such cases—and that is what we believe. The Bible explicitly states that abortion is considered murder and that murder is a serious transgression against God—and that is what we believe. The Bible explicitly states that alcoholic beverages (“wine” or “strong drink”) cause your heart to forget the word of God and to lust; that alcoholic beverages have a deceptive quality; and that drunkards shall not inherit the Kingdom of God—and that is what we believe. The Bible explicitly states that government leaders are ministers of God and that God commands us to honor them, to pray for them, and to pay government taxes. It also states that righteousness exalts a nation—and that is what we believe. The Bible explicitly states that there is a time and a season for war and that there will always be wars and rumors of wars—and that is what we believe. The Bible explicitly states that poverty, hunger, and sickness are inevitable and constant troubles of man; however, Jesus taught that we as individuals should love our neighbor as ourselves, and among other things this means giving to the poor, feeding the hungry, clothing the naked, comforting the sick, visiting those who are in prison, and performing all other such acts of personal generosity and compassion—and that is what we believe. The Bible explicitly states that the earth is given to man by God and is to be dominated by man; that the animals of the earth were and are given to man for consumption and use; and that worshipping creatures and/or the creation is a serious transgression against God. Furthermore, it states that as long as Earth remains there will be Summer and Winter, seed-time and harvest, cold and heat; however, on the day Christ returns, both Earth and the heavens will be burnt up and God will make a new Earth and new heavens—and that is what we believe.